Welcome to Day #12 of Chocolate and Peru Theme Week(s). 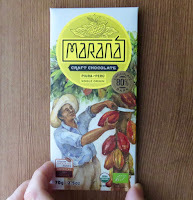 Today's attractively packaged, 80% Piura Peru bar from Marana Craft Chocolate was made in Peru (produced by Cacao Valley E.I.R.L.). 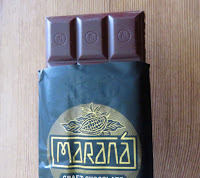 Bars labeled as 80% cacao or over are generally more bold and deep dark in flavor. However, today's 80% Piura Peru bar was relatively cheerful for an 80%-er. This chocolate was fruit-sweet (red fruit, cherry), with a very faint (balanced) red fruit-acetic acid (vinegar) note. *Piura is a city, region and province in northwestern Peru, approximately 5 degrees south of the Equator. 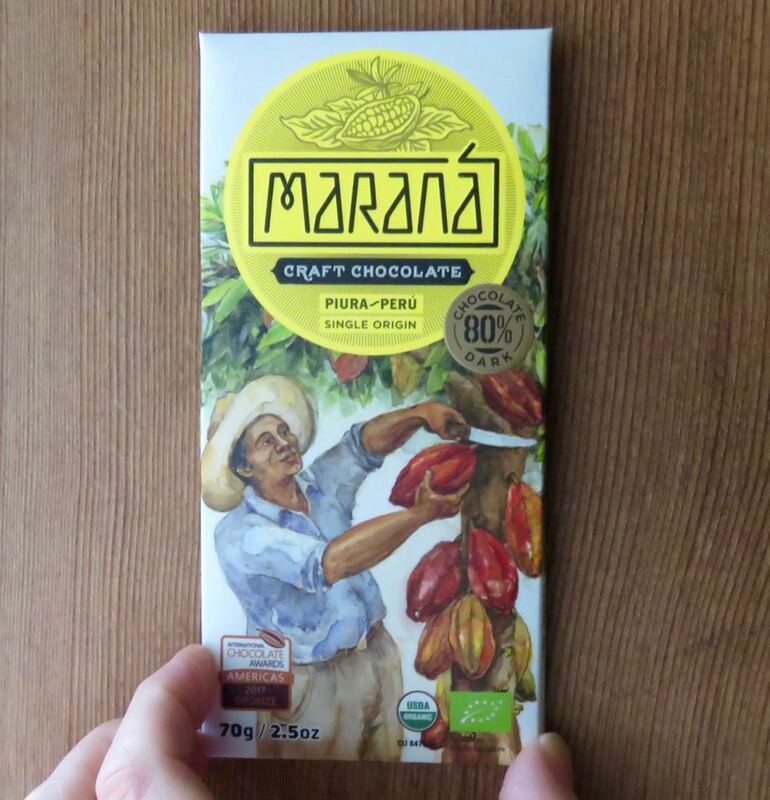 Piura is also one of of the top 10 cacao growing regions in this South American country. 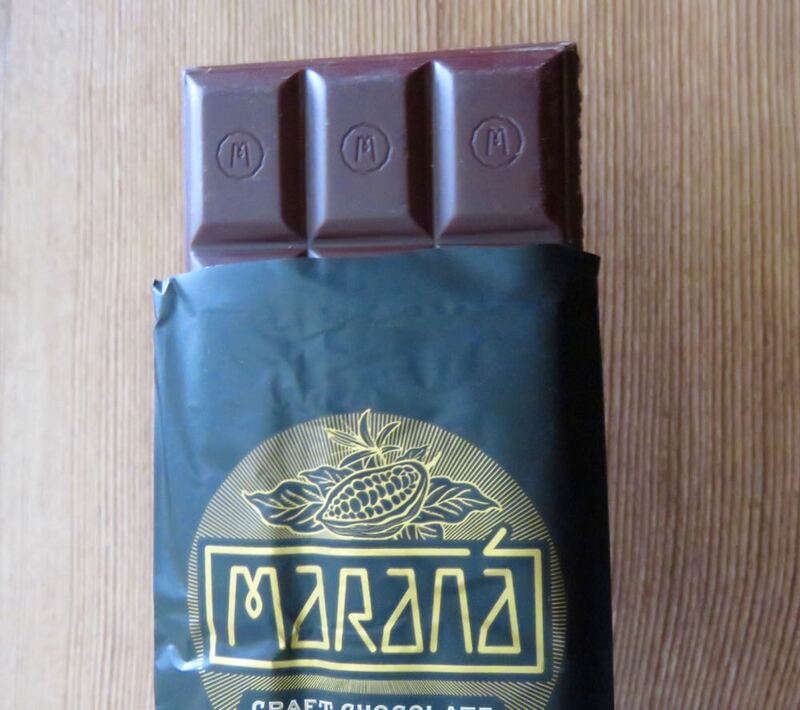 Marana Craft Chocolate offers bars made with Cusco from at least three of these ten regions: Cusco, Piura and San Martin.